To celebrate National Trails Day, my mom and I hiked in San Jacinto State Park, one of our favorite hiking areas in southern California. We had a late start from San Diego so that by the time we reached the ranger station (9am), the permits for Humber Park were already full. So we decided to take the Deer Springs Trail, a trail we had never been on before. The parking lot is only about a mile from the ranger station. Fortunately, we found a spot. We new it was going to be a very warm weekend so we prepared well by bringing lots of water and fresh fruit. The first couple of miles of the trail are lined with chaparral and manzanita. 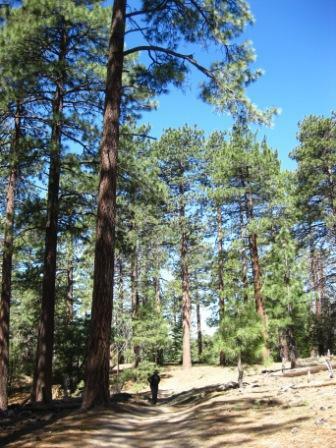 Once we reached the fork where one could make a right towards Suicide Rock, we noticed more pine trees. Some of them were gigantic (in comparison to us tiny hikers)! We didn’t have a set plan of how far we would go as we just wanted to enjoy the trails. 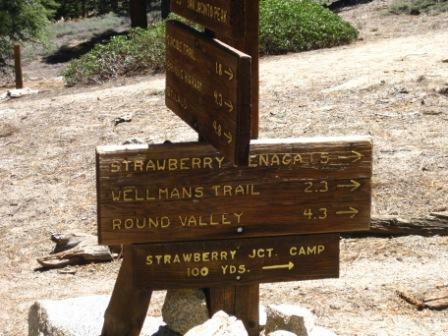 When we reached Strawberry Junction we decided to have lunch at the campsite. The views were spectacular! After our break, we headed back down and checked out Suicide Rock. We passed a lot more hikers on the way to Suicide Rock. And Marion Creek was gushing with water. It felt refreshing to splash ourselves with cool water! 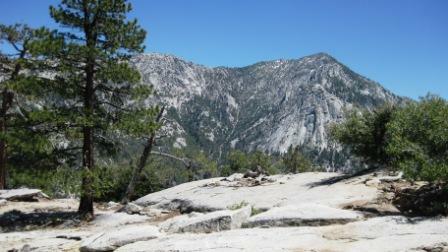 When we reached Suicide Rock, we were in awe of the views of Lily Rock and Strawberry Valley. Amazing how this place is so close to home. After a short break, we returned to the trailhead. 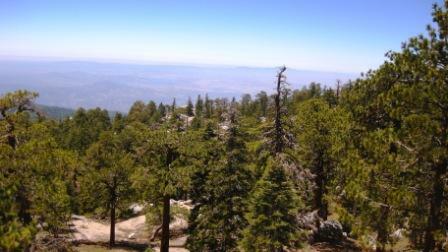 Overall, we covered about 10 miles with 2,500ft. of elevation gain.